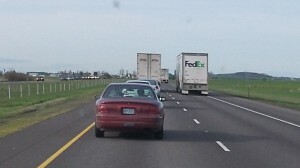 On I-5 in Oregon, we tend to plod along at a comparatively sedate pace. The last time I was moving — being moved, rather — at more than 100 miles an hour was Monday in seat 4D of a Canadair regional jet on the runway at the Eugene Airport. A day before, it was on a German autobahn in the back seat of a BMW driven by my nephew. We were cruising along at 240 km per hour. In the video above I had made a mental calculation and said it was about 160 miles an hour — though you probably can’t hear me say that. Actually, it’s only a little more than 149 mph. Still, that’s more than twice the maximum legal speed on Interstate 5 through Oregon and about twice as fast as many of the passenger cars actually travel there. As you may know, there’s no speed limit on most segments of German freeways. And there, 240 kmh is not especially fast. We were passed by other cars including a Ford Focus. 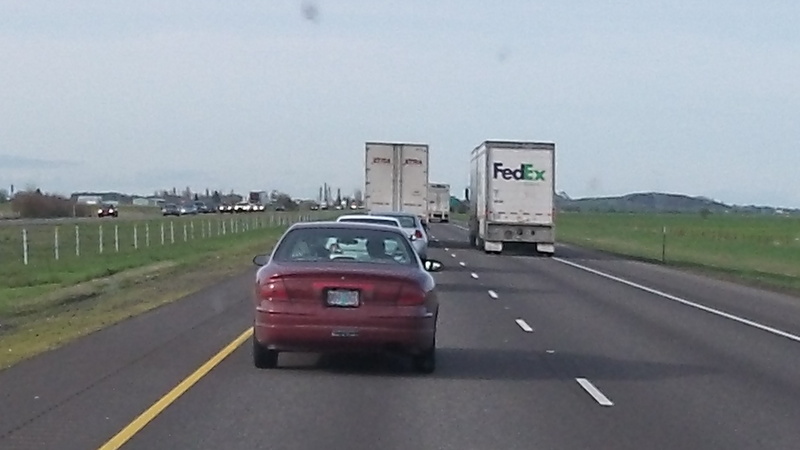 Which reminded me that Oregon’s freeway speed limit, 65 mph for cars, is still the lowest among the western states. The law gives the Oregon Transportation Commission the authority to raise the limit to 70, but in 2004 it decided against doing so on safety grounds. In 2011 two state senators proposed to raise the freeway limit to 75 mph, but Governor Kitzhaber was opposed and the idea got nowhere. Traffic safety experts say the safest speed is that at which 85 percent of free-flowing traffic moves. By that measure, about 70 on the freeway would be just about right; almost all the traffic goes just a little faster than that most of the time. David Moore, on Facebook: Try going down I-5 at 70 mph on a motorcycle. That’s like flying low. Jim Engel: 70 mph on an M/C… try breaking over the century mark — 100 mph on an M/C. Now that’s livin’! Sold the bike the next week.